There might not be a China Cat Sunflower or a Box of Rain available, but a new Grateful Dead auction certainly has some band memorabilia fans won't want to miss. Deadheads who missed out on snagging a ticket for the band’s July farewell shows at Soldier Field can still visit Union, Illinois for a one-of-a-kind experience. Auctioneers at Donley Auctions will award items from a large collection of Grateful Dead memorabilia to the highest bidder during their Grateful Dead Family Jubilee Auction on April 11-12. 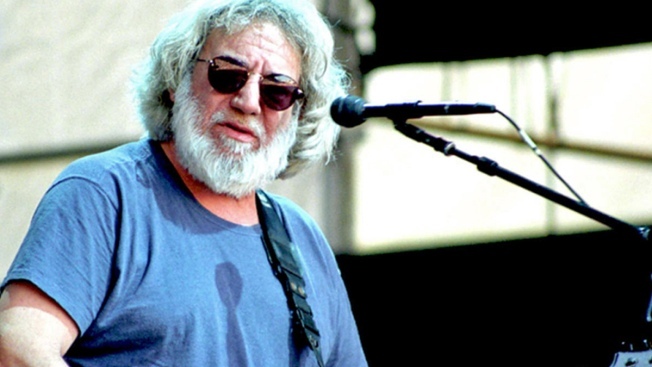 Items range from posters created by artist Stanley Mouse, to furniture like Garcia’s antique carved lion’s foot Morris chair (estimated worth $50,000) to the wooden desk from the band’s Lincoln Avenue office in California (estimated worth $20,000). Auctioneers even have the original draft of “He’s Gone,” valued at an estimated $150,000. A Colt .25 pistol owned by the band’s lead guitarist, Jerry Garcia, will also be available but it does not have a reserve price. Randy Donley, the owner of Donley Auctions, said celebrity guns can go for hundreds of thousands of dollars. Fans don’t have to travel to Union to grab a piece of music history. Music buffs can bid online for their favorite souvenirs, and there are a lot. More than 700 Grateful dead items are expected to go up for auction. A sneak peek at the auction items is available through an online catalog.